Sao Paulo, Brazil to Rovaniemi is an approximately 26-hour flight. You can also do a combination of bus and flight; or do a combination of bus, flight, and taxi. The time zone difference when traveling from Sao Paulo to Rovaniemi is 5 hours. 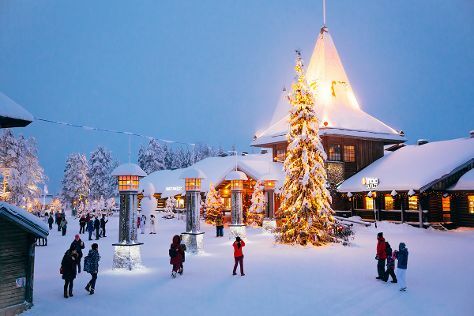 Expect much colder temperatures when traveling from Sao Paulo in November; daily highs in Rovaniemi reach -2°C and lows reach -7°C. Finish your sightseeing early on the 20th (Tue) to allow enough time to travel back home.